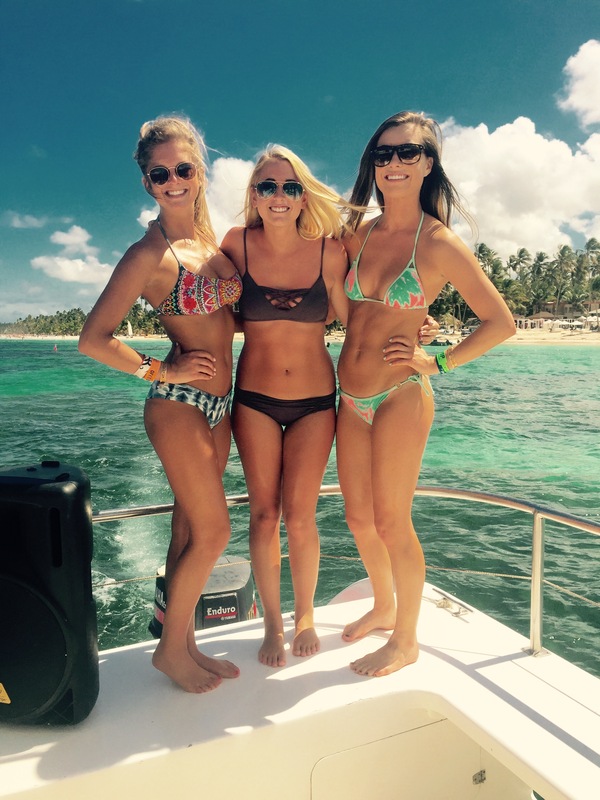 Top 5 Things to Do in Punta Cana on Spring Break! Punta Cana has countless features that keep spring breakers coming back year after year. Whether its day or night, there are endless activities to keep you and your friends entertained. 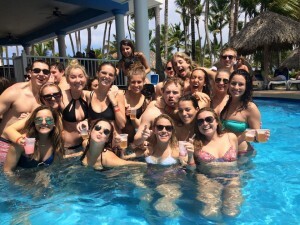 STS Travel staff members took a vote and narrowed it down to a list of 5 top things that you have to do before leaving Punta Cana this spring break. 1.) STS Travel VIP Party Package: Enjoy open bar, free cover and express entry to the top clubs in Punta Cana. “Oro” nightclub is located in the infamous Hard Rock Hotel and Casino. Oro’s light and sound system rivals the hottest clubs in the world setting the stage for the biggest names in DJ’s, celebs and models! There is also “Imagine” an underground cave turned into a club. VIP rooms surround millenary stalactites. Fire shows, theme parties and different caves with different music make Imagine the most unique night-time experience in Punta Cana. Coco Bongo is another must when it comes to night life. You do not want to miss out on the Punta Cana nighlife! 2.) Booze Cruise: This day time booze cruise is part of our VIP Party package and is always a crowd favorite. The boat includes open bar, music and even a slide off the side of the boat. This day drinking event is known for getting extremely wild! You wont only be partying but also getting a great tan. 3. 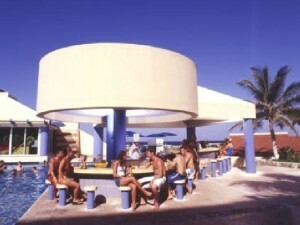 )Poolside Bar/ Contests: Spend you days lounging or splashing in the pool. Punta Cana all-inclusive resorts offer awesome day parties that jump start the day everyday during your spring break trip. Swim up bars will keep the party rolling and wild contests never fail to entertain. 4.) 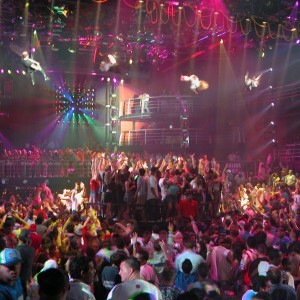 CoCo Bongo: Dance on the floor, dance on the bar, dance wherever you are when you are at Coco Bongo, Punta Cana’s House of Rock & Pop – This place is LOCO!! 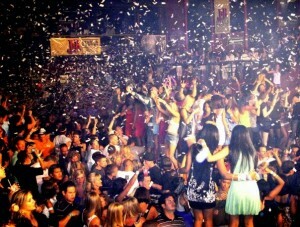 The unique club features an entertainment design that not only includes live bands and the best in dance music, but also features extravagant stage shows. You will dance til dawn with confetti & streamers falling from the ceiling, costumes, shows and a high voltage atmosphere come together to give you a complete ‘Party Overdose’! 5.) Ziplining: You must try this exhilarating day excursion! High paced zip lining over beautiful Punta Cana landscapes is a unique experience you should not passed up. Your spring break will stand a part from other trips when you are flying through the air!